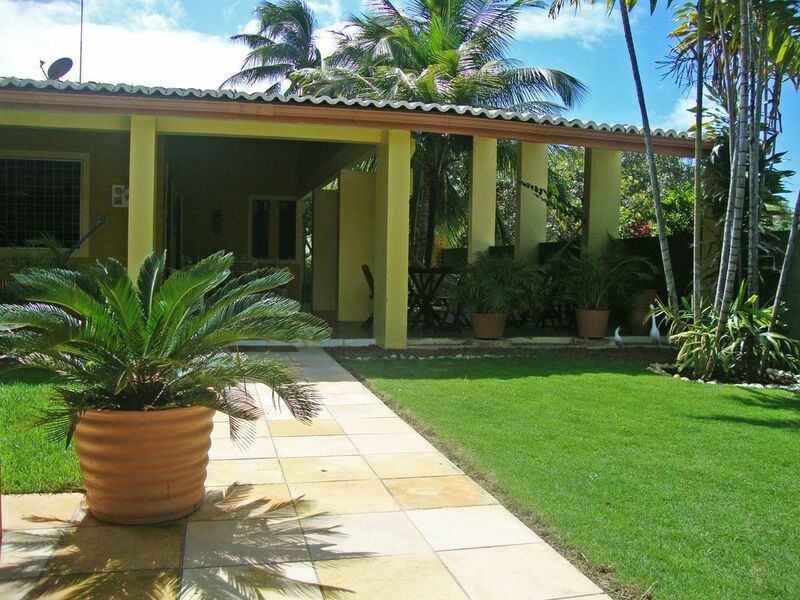 The house have a total área of 200m², furnished, just a block away from the natural swimming pools at the beach, the best place to swim in Porto de Galinhas. There is a double balcony in ?L? shape, with beautiful iron furniture set (1 table and 3 chair). -	With the resevation will be charge a security payment in cash, proporcional with how many days is the reservation. -	It could send a Taxi to the airport, the cost it´s about U$40,00, not included. To get to the house you will go from the Porto de Galinhas Village to the Beijupirá (restaurant) street (the same of the Bank of Brazil), toward the Governor´s house, turn left on the 3rd street (going toward the beach). Turn and keep at the right side you´ll see a house with green wall, it´s the fst house on the street.That´s the one! In the area: llocal restaurants fast foods, Drugstores, Pubs, Clubs, Supermarkets,and Banks.